Home Practice Of Mixing Batteries – Safe or Not? Practice Of Mixing Batteries – Safe or Not? You may have done this unknowingly before but do you know that mixing battery is a bad idea? Yes. You should never mix them together. To mix old and new batteries can cause the devices to perform poorly and may even damage them. Batteries may also even leak which is bad. If you can, store batteries of the same voltage, size, chemical composition and even the same brand. There are certain rules on mixing battery. What are these rules? ・Do not buy batteries manufactured by various assorted companies. Always pick a manufacturer and stick to it. ・All batteries should be of the same capacity. Do not mix them. ・Most importantly look for the same chemical formula in your batteries. Some commonly found chemistries are Nickel-cadmium, NiMH, and Lithium. Once again do not mix them. Below is an in-depth explanation of why mixing batteries are bad. Different batteries will have different voltages and different milliamp hours. Therefore, these batteries get discharged at different times. This, in turn, means that one of your battery ends up not performing to its optimum level. This heats up the battery, and batteries start discharging quicker. Sometimes, this also causes the battery to swell up. If this happens, you should remove the battery from the charger if you are charging it, and take it out and leave it in an open place because in rare conditions the battery which swells up might catch fire. But if you must work in a way that you go for mixing batteries, then remember that the age of the battery matters more than the size. If batteries are dissimilar in size, then they will not be harmed as much as if they one is new and one is old. What also matters is if you are charging in series or parallel. If you are using the same voltage batteries and charging it in parallel, then all these batteries will reach the point of bulk charging together when they all hit the same voltage. In parallel charging, the old battery with the new one will not harm the new battery. Now, what if one is charging in series? In series, three batteries with the same voltage charge at different rates and one ends up overcharging being a different capacity. This causes harm to the battery, and it undergoes degradation, and its life is shortened. If you have ever experienced this, then these tips will help you to prevent damaging the battery. That is not all. You ought to know that a new battery has very little resistance and that keeps on piling up with time. Plus, as thermal energy increases, it comes with losing its electrical energy. So when one battery is new, and one is old then they have different rates of resistance. High rates of energy pass through extra high resistance, thus, making the fresher battery to run out fast and older battery to overheat. This is simple and sheer waste of money. 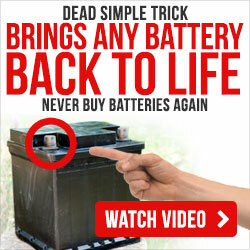 We can say for sure that the mixing of batteries is not a good idea and it is not just a myth circulating as a salesmanship trick to make you buy new batteries. Now you know what will happen in mixing battery. Remember to avoid doing it so that you won’t waste those batteries that you have. Follow the steps we have shared with you above when it comes to storing similar batteries together. To know more about storing batteries, send us an email, and we’ll share with you more information about it that you can certainly use.